SCS is dedicated to providing students in Pre-K through 8th grade an excellent education rooted in the certainty that all truth is God’s truth. From the staff and faculty to the generosity of our donors, we are committed to nurturing each child’s spiritual and academic development. 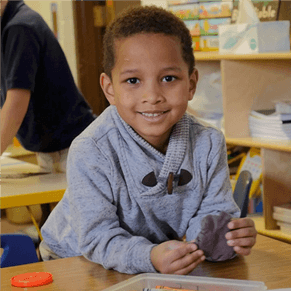 With deep roots in the inner-city of Springfield, we strive to present our school as a foundation, a guiding light for the rest of our children’s lives. While most schools are taking Christ out of the schools, we are striving to put Christ back into the school. The EdChoice Program can be used to pay for a private school of your choice. SCS is committed to helping students establish good health and nutrition habits.